Hello. I have a Logitech F310 Gamepad, and every time I press its L2 or L1 triggers, they remain "pressed down" in PCSX2. I assume this is because on the PS2 they were buttons and not triggers. This makes quite a few games unplayable. Is there anything I can do to fix this? When you configure the "button" in onepad, did it mark it as Jaxis or Button? (05-27-2012, 06:13 PM)gregory Wrote: When you configure the "button" in onepad, did it mark it as Jaxis or Button? It marks it as Jaxis, and I think I'm starting to figure out why. The offending axes are 2 (L2) and 5 (R2). Notice how when they're released, they register as -32767. When they're pressed, they register as 32767. This confuses PCSX2, who expects them to be 0, I think. Inverting the axes does nothing, so I'm really at a loss. Any ideas? What is marked in one pad? jaxis full or half? OnePAD says they're both "Half-". Try to reconfigure the button, sometime it failed to detect properly. Be sure to not press the button before it ask, and press it max after. Thanks Gregory! 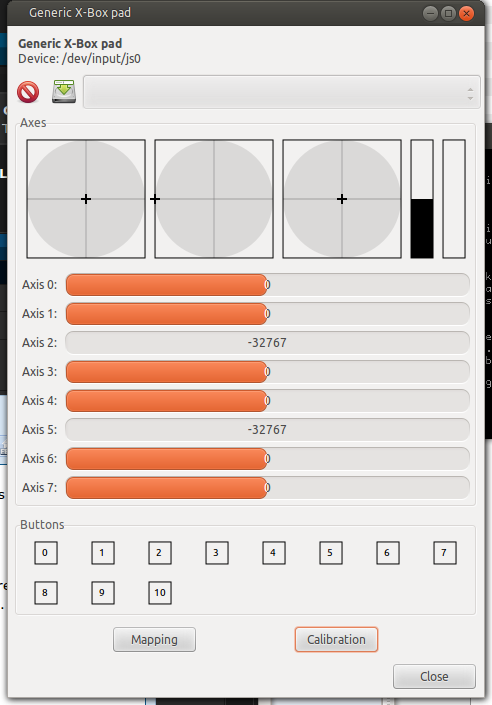 It took me a few times to get it to detect the axis properly, but everything is working fine now. I've been tearing my hair out trying to find that problem. You're welcome. Will try one day to find a better way to detect the axis. (05-27-2012, 06:06 PM)copypaste Wrote: Hello. I have a Logitech F310 Gamepad, and every time I press its L2 or L1 triggers, they remain "pressed down" in PCSX2. I assume this is because on the PS2 they were buttons and not triggers. This makes quite a few games unplayable. Is there anything I can do to fix this? The L2 and R2 buttons on the PS2 are pressure sensitive buttons. the 4shape buttons also have some degree of pressure sensitivity. The F310 has two modes via a switch on the back, Dinput and Xinput. Xinput mode will use the standard microsoft common class driver. 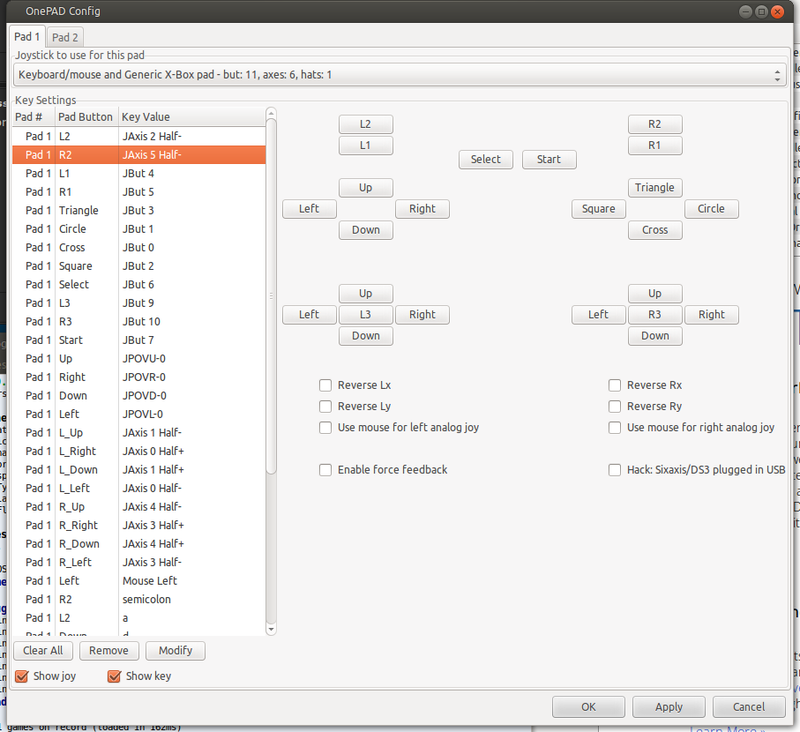 When the controller is in Xinput mode, the Triggers act on a single axis when utilised with Directinput applications or SDL/Linux HID device drivers. When the controller is in DInput mode, the triggers act as digital buttons when utilised with directinput applications or SDL/Linux HID device drivers. The only way to access the triggers as seperate pressure sensitive buttons is to use custom drivers that enumerate it as a common class device. In Linux, the behavior isn't all that different. The control will appear as if the triggers are on 2 seperate axis unless accessed correctly via Common class drivers (or the linux alternative) when accessed by the usual SDL or HID drivers. SDL and Linux HID will work best with the control set to Dinput.